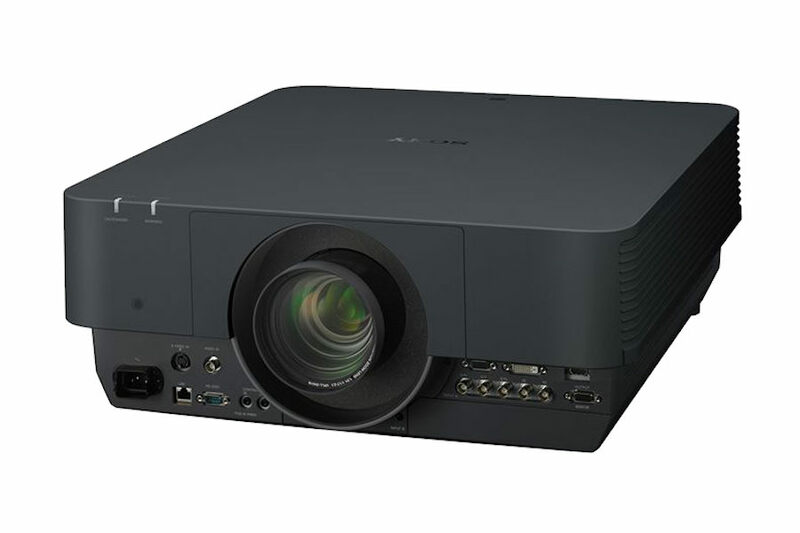 Sony's VPL-FHZ700b 3LCD Laser Light Source projectors incorporate a true laser light engine and achieve exceptional 7,000 lm. Sony's unique light engine uses a blue laser as its light source, which excites a phosphorous material that in turn creates full spectrum light. The light is delivered to a 3LCD optical system which results in constant, vibrant RGB colour. The VPL-FHZ700b offers several user-selectable light output modes and energy saving features, to maximize the benefit of the unique optical system. Auto mode: This varies brightness according to the needs of each scene, going darker when the picture goes darker, for example. The system dynamically adjusts color balance to maintain picture quality. Constant brightness mode: This maintains the light output throughout the expected life by driving the projector at reduced output. It is suitable for applications where visual consistency is required, whether in digital signage or museums or even classrooms. The VPL-FHZ700B only requires 6 seconds for the brightness to ramp up after turning on. There is also a "quick reboot" mode available which allows users to reboot the projector in just 1 second, during user preset time of 10 minutes or 30 minutes after turning off the projector. This is a useful feature for facilities where there are presentation intervals between classes and meetings. 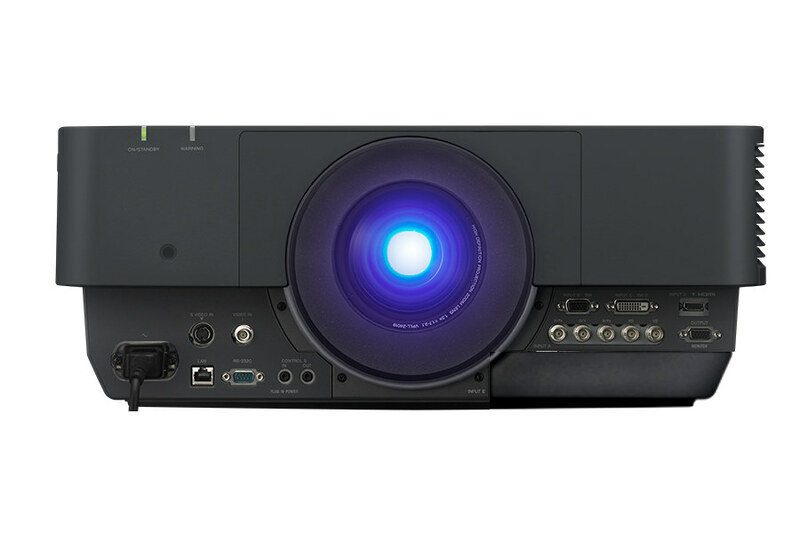 Thanks to laser light source technology, a long life LCD panel, and an advanced filter system, Sony's laser projector offers up to 20,000 (auto dim on) hours of operation without maintenance or replacement. Virtually zero maintenance requirements and a range of energy-saving features reduces total lifetime ownership costs compared to conventional UHP projectors. 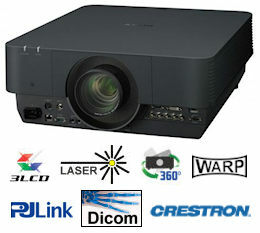 Sony's laser light source technology affords advanced integration features including: constant brightness mode which maintains brightness over the course of time at a reduced light output, installation tilt-angle free design, wide range lens shift, built-in edge blending and geometric correction, near-instant power ON/OFF features, and much, much more. Conventional high-pressure mercury cooling systems only function across a limited range of installation angles. Sony's True Laser System gives you complete freedom of tilt angle. You can roll the projector 360° clockwise or counterclockwise, including portrait or landscape orientation. And you can "pitch" the projector 360° forward, back or on its side. The VPLFHZ700B can be integrated directly into an HDBaseT environment by using the optional BKM-PJ10 HDBaseT adaptor. HDBaseT is a multi-signal transmission system via a single Cat5e/6 cable that simplifies projector installation. With HDBaseT connectivity, the VPL FHZ700b can interface with other HDBaseT certified equipment, and receive video, control and Ethernet signals, all over single cable. This reduces the number of cable runs and eliminates the need for signal extenders. Fewer signal extenders and receiver boxes means fewer potential points of failure. The VPLFHZ700B has a powered lens shift function which shifts the projected image optically up to; vertically +/- 113% and horizontally +/-63% (available lens shift range varies by the selected optional lens). With this extreme lens shift range, the projector can be installed in challenging environments, for example keeping audiences' site lines by installing the projector high above the screen, or horizontally avoiding HVAC ducts on the ceiling. Lamps can blow, if you need your projector working and can't afford down time, you may need to keep a spare lamp. The replacement projector lamp for the Sony VPL-FHZ700b is the No Replacement.